I’ve have produced voiceovers for a fair number of TV car commercials over my many years. Some of the spots in both script and pictures were frighteningly bad. But some of these TV spots for auto dealers were good, really good. 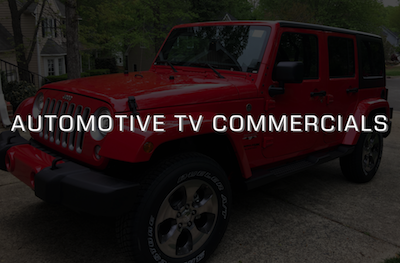 Local TV spots for car dealers can be challenging because often times the dealer / owner wants to be in the commercial and…and, well, let’s just say they shouldn’t be. On the other hand, some folks are great on TV and it helps them sell lots of cars. I went to high school with a friend of mine whose family owns a number of dealerships in Western New York. He runs the dealership now, he’s the TV spokesperson and the camera loves this guy! A spot I recently voiced for a dealership in the Albany, NY area did a really creative thing with their dealership’s TV commercial. They used mostly graphics and some video to underscore the selling point of the script. The most unique thing is…almost no cars in the entire spot, yet it is very clearly a car commercial! I’m not saying this because I voiced the spot, truly I am not. This spot hits all the right points of difference and branding elements to create an effective car commercial. Ok, well there’s actually nothing to win but certainly check your mail! And maybe you already have, which is why you’re checking out this page. Welcome to my voiceover blog. If we haven’t properly met yet, hi, I’m Peter. Yes, I sent out a new direct mail postcard this week to about 900 of my media production peers who work in audio production, TV and radio production, TV promo, explainer video production, documentaries and darn near every other kind of electronic production worldwide that uses voiceover. I hadn’t done a mailer in a while, and with this year being my 35 anniversary in voiceover, I figured that’s something to talk about on a big postcard. People still love getting unique stuff in the mail, even an oversized postcard. It’s a reminder to those I’ve worked with before that I’m still around (give me a call). It’s also an introduction to folks who may have heard of me (or may not have heard of me) but might need some professional voice talent help – the card is a friendly hello (give me a call) to them as well. I’ll still do email blasts every now and again but I fear those don’t get read as much as they used to…my open rates are still good and I keep the message short and sweet! So if you’re just finding me for the first time, hi (welcome! ), and if you’re returning, hi again and thanks for coming back. 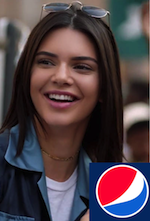 Oh and if you do need to call me, I’m on +01 716-572-1800.
what can voiceover talents learn from the kendall jenner pepsi commercial? Back when I drank colas, Pepsi was my go to beverage. I drank Pepsi at least 3-4 times a day, from my high school days up to maybe 5-6 years ago. I loved the stuff, especially from a fountain. Mmmmmm! Coke was not my beverage, always Pepsi. One day I stopped drinking Pepsi, cold turkey, because I decided it wasn’t good for my stomach. No doctor’s orders, no major medical issue. Just a common sense decision for me. If you still drink it, please enjoy one for me because it tastes great. So this week when the controversy erupted over a new Pepsi ad featuring Kendall Jenner, I was immediately interested because it was Pepsi. Then I was interested because the world was losing its mind about Pepsi being insensitive and tone deaf to social issues. I’m going to blow right past that last part about Pepsi being socially insensitive, thus having to avoid reminding people that almost every brand is only as interested in an issue or position (social or otherwise) if they think it will somehow help them make money or save money. No, we’re not really attractive and wearing Victoria Secret underwear on stages. Only some of the voice guys do that. Allegedly! But we, like Kendall, are given a script to follow, we agree with the concept, are unsure of how it will all turn out but have faith in the producers and directors we work with that they will perform professionally and responsibly. With that faith in hand and our God-given talents, we perform the job to the best of our abilities. Sometimes the finished production is a masterpiece that we are proud to have our voice (if not our face) associated with. Sometimes it is so terribly produced and embarrassing that we are ashamed to even cash the check. There are risks in every job and for voice talents and on-screen performers, that’s one of ours. Rarely when the finished project goes badly is it our fault and in this particular case, it’s not Kendall Jenner’s fault either. Note to KJ: cash the check kid, the embarrassment will fade and you’ll be fine. Copywriters, executives, directors and producers get input into scripts, visuals, music and even what voice to use on commercials and narrations. The talent just performs as directed. Many a voice talent can tell you horror stories of a script that had such amazing potential but must have been “committeed” to death after the talent heard or saw the finished project. But their voice was still in there and there was nothing left to do but quickly and quietly move on to the next project. Note to KJ: do that. Move on to the next job. But if SNL or Kimmel calls you to do a spoof ad…if it’s written well, consider doing it. 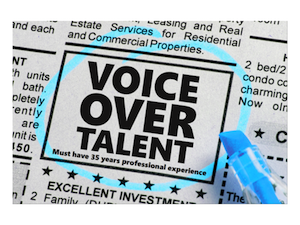 Voice talents and actors perform our work to the best of our abilities and we take our jobs seriously because we like the responsibility established when clients and brands entrust us to perform. But let’s not take ourselves TOO seriously. We love and respect our voice acting and on-camera acting professions because they are noble ones, but our work has little (not none but little) significant impact on our world. We educate, we inform, we lobby, we sell, we entertain. But our work is highly unlikely to prevent or cause the end of the world. This Pepsi ad wasn’t so much insensitive as it was just…a crappy ad. That point has nothing to do with any talent shown in the spot. The visual message of this Pepsi ad tried to commercialize the nation’s highly charged opinions (bad starting point) into a marketable, happy, non-political spot. The only nice thing I can envision for the brand on that point is that Pepsi may have meant well. But the spot failed well beyond people’s hurt feelings. And those failings are the reasons the spot should have never aired, beyond the politically charged subtext. The spot didn’t influence the audience, it didn’t build up the brand and most importantly —above everything else…it didn’t sell any soda. Had that spot run for a year, I doubt it would have move any cans off the shelf. Pepsi’s job is not to bring about peace. The product satisfies a physical thirst. Sell THAT guys! Capturing the modern zeitgeist may have been Pepsi’s objective, tying the brand in with the target audience’s desire/demand for justice and equality. They just forgot to sell the soda. And selling the soda, not selling world justice, is Pepsi’s only real job. Everybody goes through a period (or even periods) of professional doubt. If you’re dealing with voiceover doubts, maybe it will be helpful if I tell you how I solved my issue. As always, your mileage may vary. 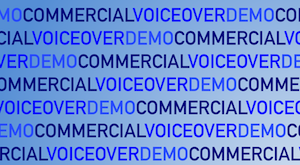 For me, my professional doubts these past 18 months surrounded one very specific topic: my commercial voiceover demo. 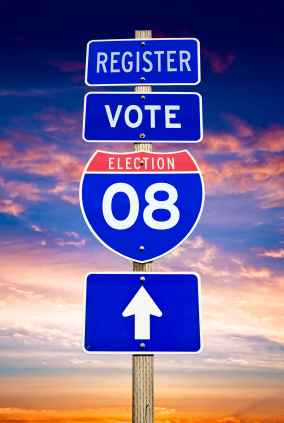 I’d sailed through updates to my narration demo, my political demo, two (count ‘em, two!) television promo demos and two radio imaging demos. But commercials are my bread and butter (narrations a close second). And I hadn’t updated my commercial demo in 8 years (I was booking off of it, so why should I change it? But I came to the realization that such thinking is just sloppy. 8 years without updating a demo is too long. In the past 18 months, that one demo has been something that been bugging me, to various degrees, specifically because I didn’t have a direction for the demo. I didn’t know what I wanted it to sound like. I didn’t have a handle on what I needed to have on the demo to sound current. Doubt. Sure, voice-over trends come and go…’everyman’ begets ‘announcer’ begets ‘everyman’ on regular cycles and I can do each of those successfully in my sleep. But was I missing direction, content and answers. I didn’t know what the answers were nor did I know where to find them. Doubt. I had doubts…about my abilities. So if you’d been hit by your own professional doubt too, just know you’re not alone. I kept the ball moving by doing those other demos and by listening to a bunch of people’s commercial demos on Voicebank. My listening tour told me I was on my own…VO demos remain as individual as the people that voice them. Some were great. Some were truly crap. And these were people I know are booking. Now I was doubt-filled AND confused. During this indecisive period, in addition to doing other professional tasks (like those other demos), I relied on another tactic I’ve used in my life when faced with these kinds of situations: do nothing and wait. While that sounds like a life plan that might make Tony Robbins’ giant head explode, it has actually worked pretty well for me. I believe that in many instances, God or the universe or time will present me with an answer, a direction or a solution. I just have to be aware, pay attention and go where I need to go. I don’t know if I can explain it better than that. For my commercial demo, that solution began to reveal itself during some voice-over meetings: VO Atlanta and Faffcon. There I found the answers to my doubt and lack of direction regarding the production of my commercial voice demo. I happened upon my friend Melissa Exelberth at VO Atlanta who was having dinner with Mary Lynn Wissner, of Voices Voicecasting in LA. While I knew of her, I hadn’t until that time spent much time with Mary Lynn until that dinner and hallway conversations as the event went on. Mary Lynn had a real handle on what voice styles were being booked (she’s casting voice talent all the time). When she presented again at FaffCon and spoke with her further, I felt Mary Lynn was someone I absolutely needed to train with. Confidence was replacing doubt. With this solid professional connection, I had my direction. So I began voiceover classes with Mary Lynn and I did so with some very specific goals in mind. I needed to see if I could harness the styles, execute the performances that were booking today. As an LA Casting Director who knows all the top agents, she was going to know whether I could do it. Certainly I felt I WAS doing that but I also know how much I sometimes don’t know. What I found out was that with what she described as minor tweaks, I was off to the races — the training went very well, and she is a great communicator. Next, I organized the scripts I believed would work well for the demo, providing lots of room for the styles I wanted to convey. Then we scheduled some times to record with Mary Lynn directing me and again, those session went exceedingly well. I reviewed some client spots I had done that I felt also work well on the demo, based on what Mary Lynn and I had worked on. I mixed new stuff with the existing stuff, with the help of the great audio engineer and voice talent Dan Friedman. I am extremely pleased with our results. I am doubtful no more. Your solution is out there too. It will come to you. Be ready for it. It’s hard for a TV commercial to get my attention, hold my attention and make me remember it. That’s because I’ve not only seen so many commercials but I’ve also been a part of so many commercial productions that I think I’m a little jaundiced about spots. So the other day while just changing channels, I came across this Bayer Aspirin commercial having never seen it before. It totally drew me in and got my attention and I’ll tell you why I think it worked so well. You innocently watch a guy at a sporting event, enjoying himself. Some paramedics come towards him, which confuses him because he has no medical issues. But as they tell him, he soon will. WHAT?! That’s a great commercial hook. Bam! 7 seconds! Make no mistake, it’s not the voice-over that impresses in this spot, it’s the actors. Our protagonist not only delivers his set-up line well but his facial expression after he’s told he’s about to have a heart attack is spectacular, it’s real and it’s honest. But let us not ignore the great simple performance of the paramedic who firmly but calmly informs her soon to be patient that he’s going to have a heart attack. From the establishing shot to paramedics entry and conversation shots, it all flows really nicely and innocently until the viewer is as smacked awake as the protagonist when the heart attack line is delivered. The editing is simple because there seems to be nothing especially dramatic unfolding. Until it does. Maybe you saw the ad and it didn’t grab you like it grabbed me but it was so impactful to me as the viewer I wanted to share it with you. There enough NOT so impressive spots out there that I think we should celebrate the really good ones. What do you think about this spot? Great? Or did it seem like just another TV spot?